Aged 82, after a short illness. What an amazing actor. I remember when I was a kid watching a Madness promo video with my mother and she asked me who the front man was and she said, "Reminds me of Albert Finney." I still don't quite see it but I've been paying attention to AF since. 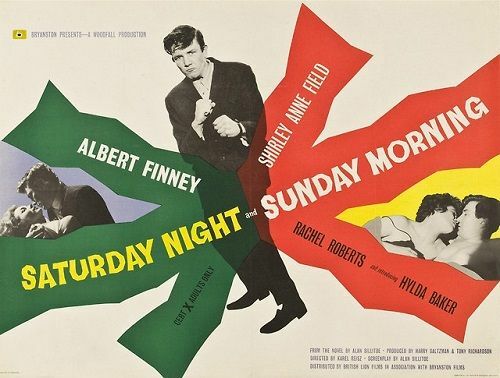 Two favourite Albert Finney films for me are, 'Saturday Night and Sunday Morning', the classic 1960 British kitchen sink drama set in Nottingham and 'The Dresser', with superb performances from both Finney and Tom Courteney...wonderful films. When I first moved to Nottingham I felt I had to read "Saturday night, Sunday morning" of course set in the city. Not only did it introduce me to Sillitoe, the film version i saw straight after, was the first time I had seen Finney. Loved him in the Bourne films, Erin Brokovich, and Skyfall. Last edited by Chimera Man on Fri Feb 08, 2019 9:28 pm, edited 1 time in total. And who could forget Tom Jones (1963)?